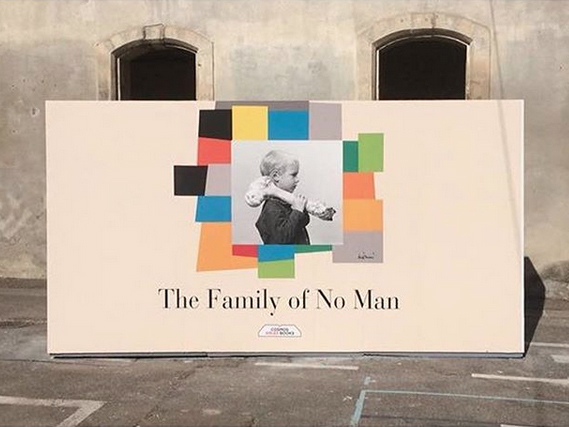 The Family of No Man is the culmination of an Open Call which has brought together 496 female and inter-gender artists all around the world working in the medium of photography. The aim of this radical curatorial proposition is to revisit Edward Steichen’s original Family of Man seminal exhibition and publication (1955), which, in their time, were described “as one of the most ambitious undertakings in an art museum”. Departing from the patterns and production modes of the original project, which in its time raised both appraisal and controversy, the FNM is conceived as an open-ended physical and virtual platform of how the world today is seen through non-male eyes. 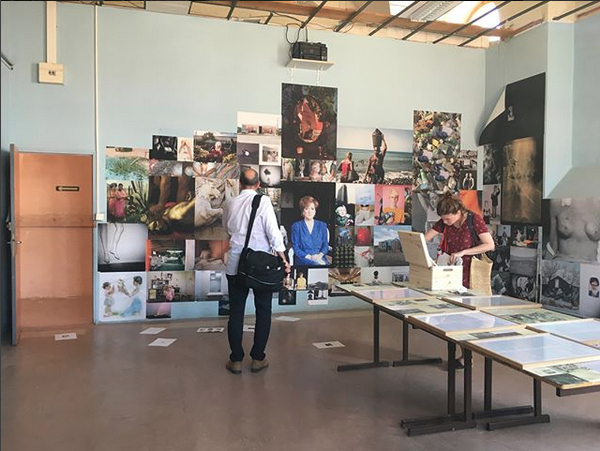 The participants’ works are displayed in a series of interactive outdoor and indoor installations while new images uploaded in real time on an online platform will enrich the selection during the Arles Cosmos week and culminate in books, talks and actions. 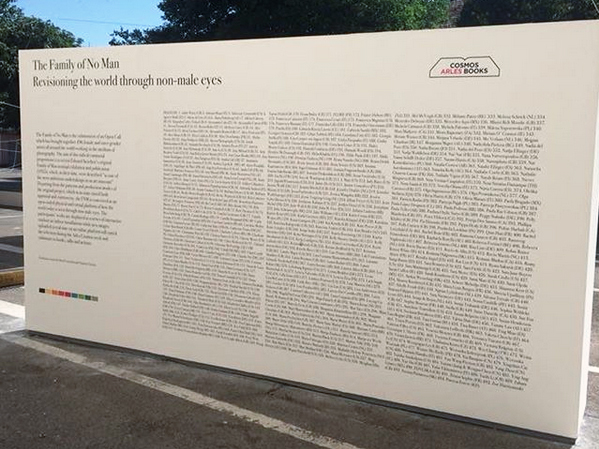 The Family of No Man project was curated by Brad Feuerhelm and Natasha Christia. To view the online platform that extends this project beyond a physical exhibition, please visit thefamilyofnoman.com.